The "Rainmaker, Sand Point's fire-fighting waterborne vessel, sits in the small boat harbor. 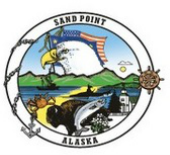 The Sand Point Fire Department is staffed by a core group of committed and selfless community volunteers. If you are interested in joining the Fire Department, please call the office and express your interest!